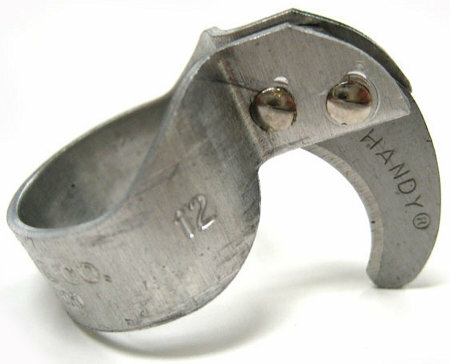 Currently viewing the tag: "knife"
With This Ring I Thee… What? Finally, a practical use for jewelry — the Hand Twine Company’s Ring Knife! You wear the ring knife on the finger of your choosing and slip the curved blade under twine, plastic strapping, or other packaging materials you need to cut. It can also be used to cut tape, ribbon, cardboard, small branches, or even light-gauge wire. The Handy Twine Company fastens the ring knife’s heat-treated steel blade to the aluminum band with nickel-plated brass rivets. They claim they have made their knives in the U.S. since the late 1800’s with the same American materials since World War II. Gerber’s Gator Machete also doubles as a saw — you can use the machete for normal bushwacking, or if you run into some downed wood blocking your way, flip the knife over and use the saw blade. Gerber makes the head and handle out of high carbon steel and then wraps some rubber around the handle to give it a tactile* grip. The 25.7″ long knife has a 18″ blade and weighs 18oz. They include a nylon sheath either to protect the blade or to protect you from the blade — take your pick. Gerber’s Gator Machete retails for $30, but you can find it for under $20 before shipping. Utility knives are pretty much ubiquitous, but snap-off blade knives don’t require taking apart the knife to get a sharp edge. Irwin is looking to take this advantage of snap-off blades and use it in utility knives with their new 4-point carbon blades. 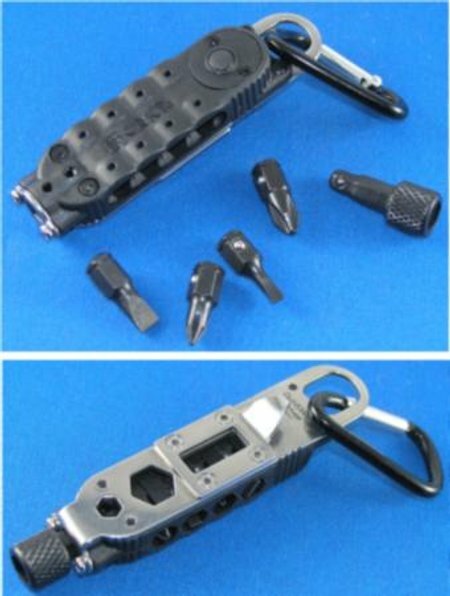 Browsing SureFire’s website, you’ll notice they specialize in combat knives, but they do make at least one utilitarian knife: the Crank. Their reputation must precede them, though. You can’t find it on their website, but one magazine advertisement for this knife claimed you could make a spear out of the knife by using the frame holes for lashing the knife to a stick. 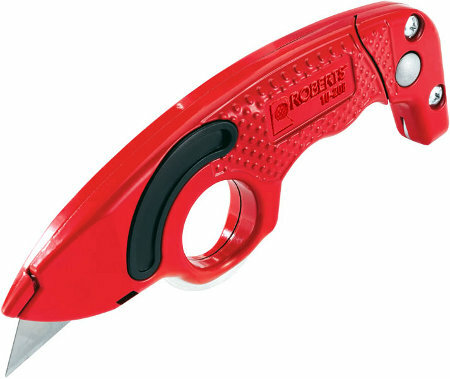 With Robert’s Roll-O universal knife you don’t have to sacrifice the skin on your knuckles when you cut rough materials like asphalt shingles or carpet. The knife’s finger loop, contoured handle, and extended roller tail protect your fingers and probably give you more control than a standard run-of-the-mill utility knife. You have your compass, router circle cutting jig, wallboard circle cutter, and pencil and string; how many ways do you you need to draw or cut circles? 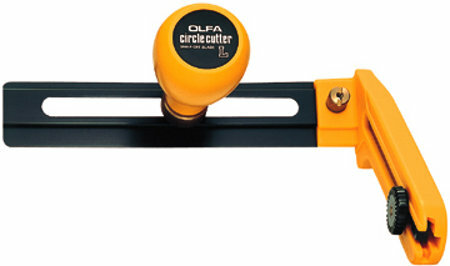 Well, try out OLFA’s heavy-duty compass circle cutter. It can cut or scribe 3″ to 12″ diameter circles in paper, cardboard, mat board, rubber gasket material, drywall, thin plywood, and more, and when the blade dulls, just snap it off for a new edge. A few months ago, with the noble goal of getting into a locked junkyard Grand Am through the trunk, I used my pocket knife to slice through the upholstery from the rear. The steel grate supporting the seat put one hell of a nick in the blade, and it took a good three hours to massage away the nick with a coarse diamond whetstone and a bottle of Tap Magic. The process left me wondering if there’s a better way which produces an edge as good as hand-grinding. Ceramics are excellent finishers, carbide removes burrs with ease, and whetstones produce the best edge, but which is best? The companies that make new and improved utility knives must think that millions of dollars in labor are lost each year when workers stop to change blades. Either that or they just need to make a better profit margin on blades. Not to be left out, Clauss manufactured yet another “next generation” utility knife that uses a cartridge-based system to hold and replace blades. Columbia River Knife and Tool designed the Get-A-Way Driver Multi-Tool to be part of their ID (Inspired Design) tool system, but it also stands alone as its own tool. It carries four insert bits with spring-loaded detents which keep them secured in the bit driver. It also functions as a flashlight, 10mm wrench, bottle opener, and oxygen bottle wrench. Weighing only 1.9 oz., the tool is only 3.75″ long and 1/2″ thick. The bit driver can be placed at the end of the tool and used as a straight screwdriver or placed on the side and used as a right angle driver for when you need extra torque. The flashlight requires two R927 3V lithium batteries. 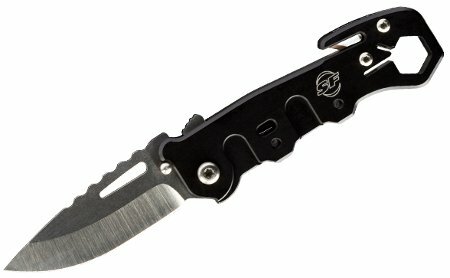 CRKT sells two models of the Get-A-Way driver. One model comes with 2 flat and 2 Phillips-tipped drivers, and the other comes with T5, T6, T8, and T10 Torx bits. They claim the tool uses standard insert bits so maybe you can carry other bits you commonly use. Pricing for either model starts at $11. Ever notice how you never have to sharpen your steak knives? The serrated edge keeps its ability to cut much longer than a straight edge, but some of the trade-offs are you don’t get as clean a cut and it’s not fun to sharpen. Neither of these disadvantages matter for many tasks you’d use a utility knife for, as you’d probably rather work longer without stopping to change blades. 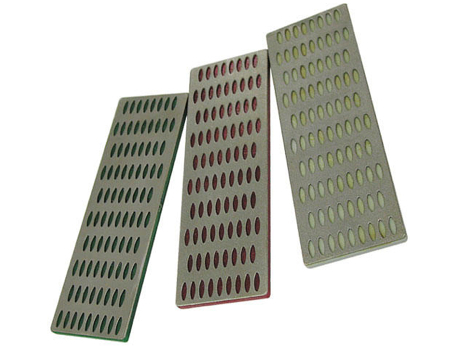 Rapid Tools manufactures Rapid Edge blades for your utility knife. They claim the blades last longer because the serrated edge has three to five times the cutting surface of a straight blade. This reduces friction, keeping the blade sharper longer. 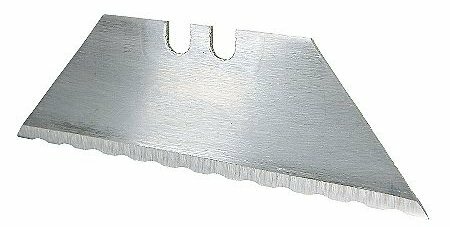 While you might not want to use the Rapid edge for cutting drywall it supposedly works well on materials like carpet, wire, rope, and asphalt shingles. Rapid Edge Blades fit all standard utility knives. They come in packs of 5, 10, 25, 50, and 100 blades and start around $4 for a five-pack.